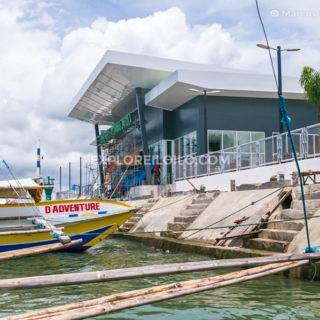 Centrally located along Calle Real, the city’s old business district and heritage core, Harbor Town Hotel Iloilo is a budget hotel with a friendly reception and easy accessibility in Iloilo City Proper. The hotel is right across the street from the most photographed heritage attraction in Calle Real, the Eusebio Villanueva Building (also known as the International Hotel Building). Harbor Town Hotel is located along Calle Real, now formally and also popularly known as J.M. Basa Street in City Proper, Iloilo City. It is quite accessible by both taxis and jeepney commute. Getting to and from the Iloilo Airport takes around 30 minutes.